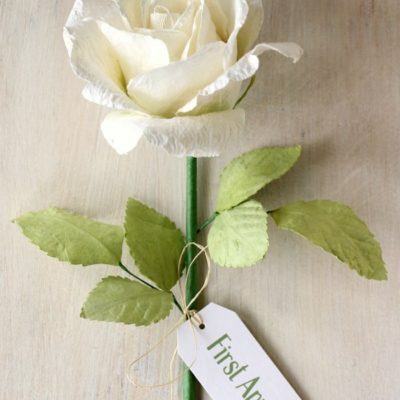 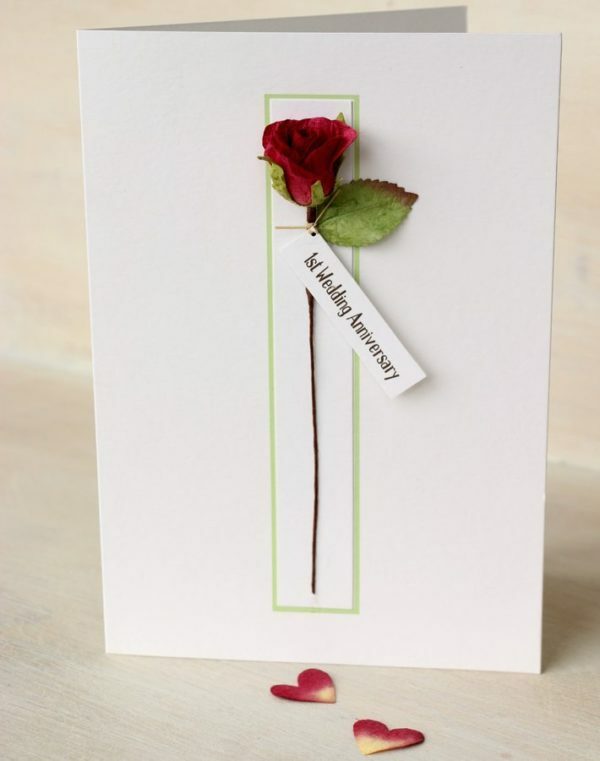 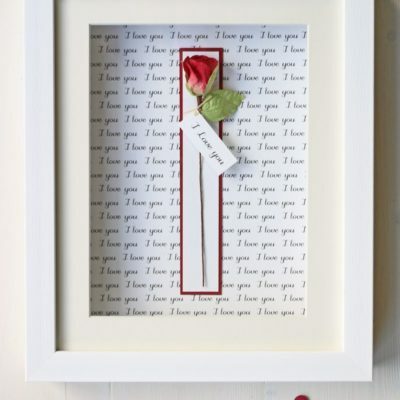 A special 1st Anniversary card with a beautifully handcrafted paper rose and tag reading ‘1st Wedding Anniversary’. 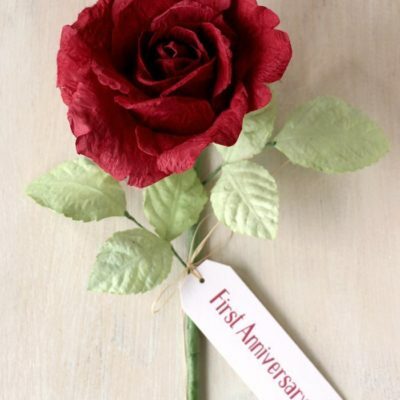 Perfect for celebrating one year of marriage, traditionally represented by paper. 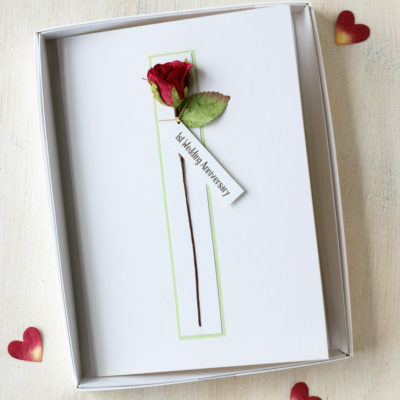 The card is boxed and a sprinkling of paper hearts are included. 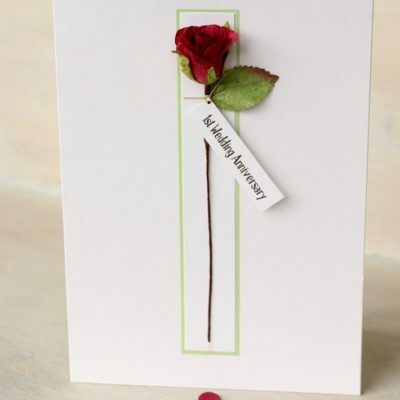 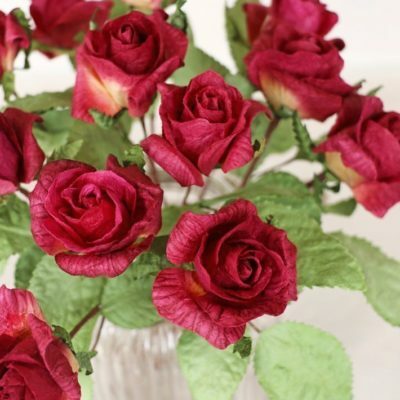 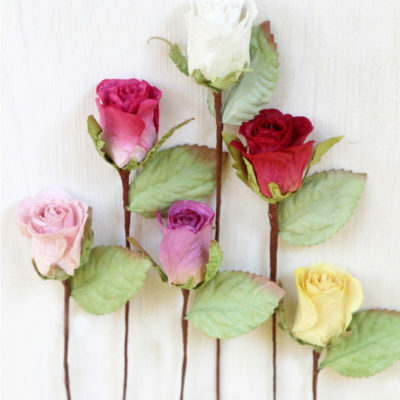 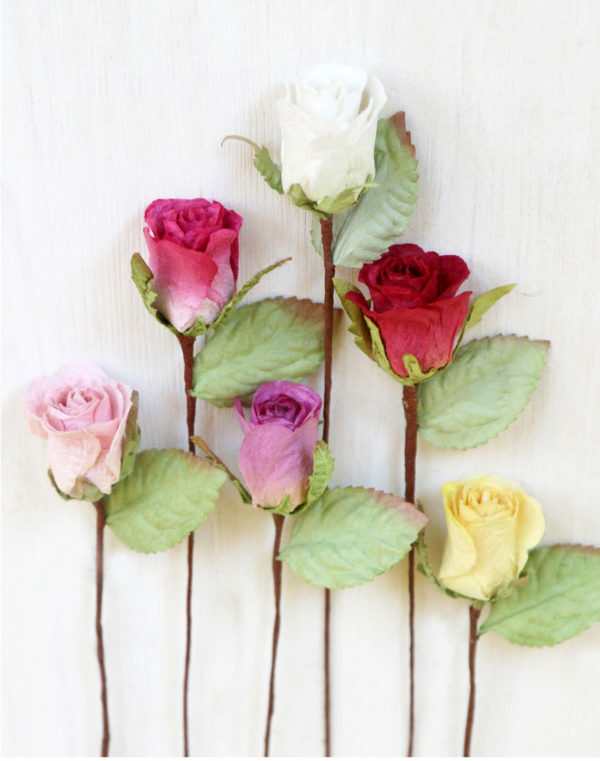 The small paper rose is attached to the card, available in 6 colours – yellow, ivory/white, pale pink, dark pink, red or purple. 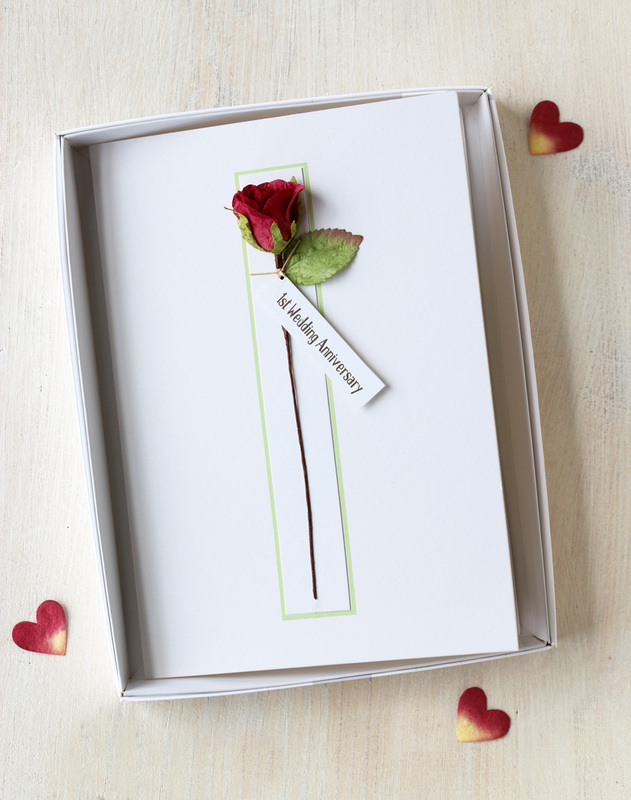 The card is 100% recycled, card size 150x210mm.